Prospecting is the process salespeople use to find potential customers for their companies’ products and services. 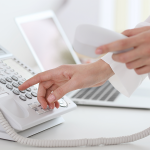 Sales prospecting tools are important because they help you identify, engage with and organize contact information for potential customers more efficiently. We’ve evaluated dozens of prospecting tools and have created a list of the top 13 for small businesses. Abbyy is a business card reader that allows you to take pictures of business cards and have your prospect’s contact information automatically loaded into a customer relationship management (CRM) tool or external database. It is software that can be used with a mobile phone. It can also be used with flatbed scanners for scanning up to 10 business cards at a time. Abbyy also reads business cards in 25 different languages. Abbyy is, therefore, best for salespeople who do a lot of in-person networking with domestic as well as international prospects where a lot of business cards are exchanged, such as at trade shows or conferences. Pricing for ABBYY is a one-time payment of $29.99 per download. 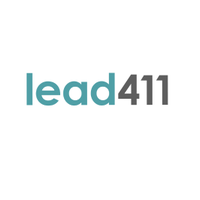 Leads411 is a tool that provides sales triggers and intelligence that can help guide interactions with prospects like job changes, company expansions, indications of downsizing, new product launches, competitor news, funding status and more. With this type of information, salespeople can identify prospects, position themselves to take advantage of new opportunities or protect deals in the works. This tool is best for business-to-business (B2B) salespeople whose prospecting strategy is built on targeting prospects who might be more ready to make a buying decision based on news or changes in status or influence. It’s also great for salespeople using CRMs like Insightly, Pipedrive and Zoho as it integrates with their platforms. Pricing starts at $99 per month for the basic plan and $199 for pro. UpLead is a tool that helps salespeople build targeted B2B prospect lists based on their target customer criteria. It contains more than 30 million contacts in its database and is searchable by name, title, company, location and other criteria. Emails are also updated in real-time to help ensure accuracy. Salespeople can also upload their existing contacts and append 50 fields of additional information to their list. This sales prospecting tool is best for B2B salespeople who build targeted prospect lists for email marketing as well as phone outreach. Pricing starts at $49 per month for up a single user which gives salespeople the ability to unlock 200 contacts. 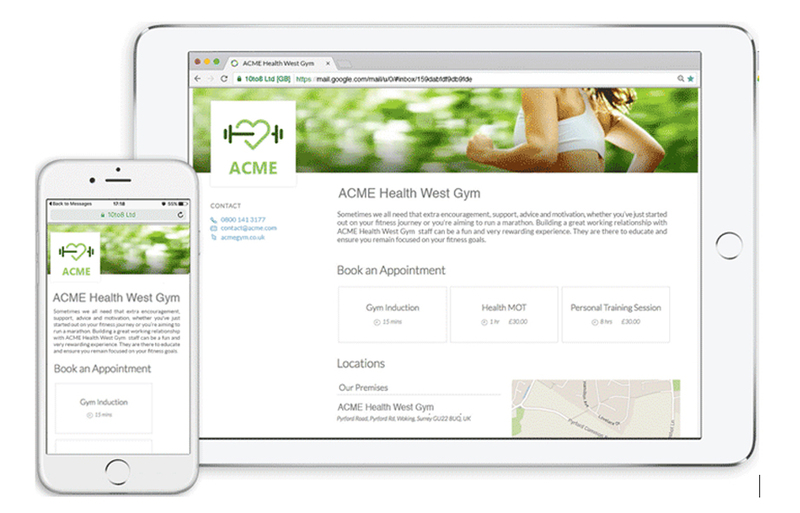 They go up to $299 per month for unlimited users and access to 3,000 contacts. Freshchat is a website chat and sales prospecting tool that helps convert website visitors into qualified leads. It does this by using bots or salespeople to engage website visitors, qualify them and then send them to your CRM. It then has the ability to auto-assign leads once they are qualified. 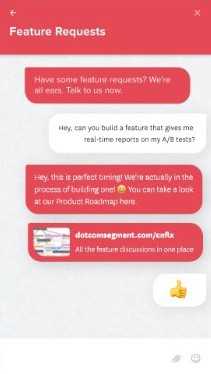 Freshchat’s other features including creating campaigns and predetermining workflows and the nature and tone of bot and prospect interactions. Freshchat is best for salespeople and businesses that want to engage website visitors proactively and turn them into leads. It’s great for screening visitors and only sending them to salespeople once they are qualified and for getting qualified leads from your website into your CRM and sales funnel right away. The price is affordable starting at $15 per month, per user. 10to8.com is a scheduling tool that allows salespeople to book appointments with prospects and customers. It’s a great prospecting tool because if you are able to qualify a lead shortly after identifying them, you can move them to the meeting stage right away. 10to8 offers features that enable you to schedule and keep appointments including short message service (SMS) and email reminders, calendar sync and two-way client chat. This sales prospecting tool is best for salespeople who qualify prospects quickly and are able to schedule follow-up meetings on the spot. Salespeople attending trade shows and meetings where they are able to spend a significant amount of time getting to know their prospect would benefit from this tool. Pricing starts at $9.60 for up to two users. There is also a free version and a 30-day trial of its paid service. Mailshake is a cold email outreach platform that allows you to send mass marketing emails in a personalized way as well as set up and schedule your entire email sequence. When you’ve received replies to your emails, they are routed to Mailshake’s Lead Catcher, where you can take action on the responses. Mailshake also provides feedback on your email copy with electronic tools or by requesting a review by its staff. 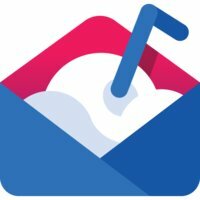 Mailshake is best for salespeople sending cold outreach email sequences using Gmail or G Suite. The feedback you’re able to get on your emails as well as being able to use their templates can save a lot of time. Prices are affordable, starting at $22 per month, per user. 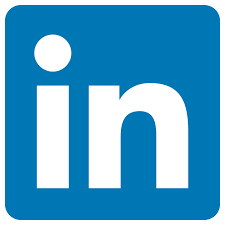 LinkedIn.com is a social media site with member profiles including professional information like title, company details, previous roles and employers, education, industry groups and connections. 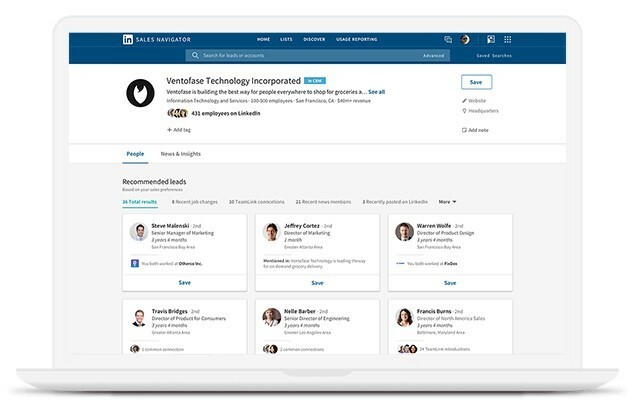 While some of this information is searchable for free, salespeople can upgrade to LinkedIn Sales Navigator where they can make connections with fewer restrictions. This platform is best for salespeople and businesses focused on B2B sales because it’s easier to find your target audience, pinpoint decision-makers and see if anyone in your network has any connections with your prospects. It’s also easy to establish connections and communicate with prospects on the platform. 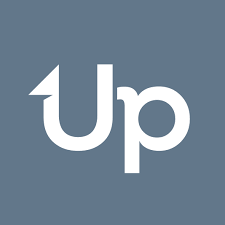 Premium upgrades are available for businesses and salespeople and offer more tools and insights including the ability to send direct messages to prospects you’re not directly connected to and fewer restrictions when searching for prospects. The cost for Business Premium is $47.99 per month billed annually and the cost for Sales Navigator $64.99 per month billed annually. Twitter is a social media platform where members send microcontent, otherwise known as tweets, to their followers. Twitter for Business helps companies find prospects and build brand-name awareness through its ad service that promotes tweets to other Twitter users based on targeting criteria like business interests, life stage or hobbies. Twitter is best for salespeople in both B2B and business-to-consumer (B2C) spaces that get prospects by watching for trends and sharing microcontent. It’s also a great place to identify and follow prospects and learn what is being said about your company, products or industry. You can do this by typing your company name or a competitor name, product or industry into the search bar to see potential prospects and tweets that come up in the search. It’s free to set up a Twitter profile, establish a following, send tweets and follow other Twitter users. Twitter ads can be purchased through bidding, or you can pay $99 per month to have your tweets promoted, which can accelerate prospecting efforts if a tweet also includes a link to a lead capture form. Facebook is the largest social networking site making it great for social relationships but is also a great prospecting tool too. You can use it to learn more about your prospects and connect and engage with them personally. You can find prospects by typing in keywords like products, events, company names and more to find Facebook groups and individuals who have posts related to these keywords. Facebook Groups are also a terrific way to find prospects. You can access these groups by requesting to join on their page. Once accepted into a group, you can then share content and network with potential prospects without “friending” a prospect first. Keep in mind that group owners usually have a no-spam policy which limits your interactions. For more control, you can create your own Facebook Group or Business Page. Facebook is best for salespeople who target prospects based on demographics, psychographics and interests. 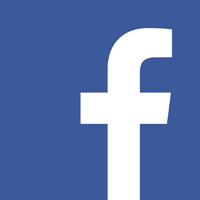 Facebook is free but offers targeted ads as well as the ability to promote specific posts. Costs are affordable and can be tailored to your budget where you can set daily spending caps. We’ve written an article on Facebook advertising, which provides additional information as to how to make this platform work for you. Instagram is a social media platform based on visual content. It allows you to post and share images including videos and message-based images. Users can follow each other and create their own following. Instagram is a great prospecting tool because you can identify and follow influencers that have similar audiences through hashtag and keyword searches. Instagram is best for targeting B2C prospects with highly visual content. Popular image categories on Instagram include food and drink, fashion, jewelry, travel destinations and health and fitness images. If you have visual content that your target audience can connect with that would help you establish a relevant relationship with you or your brand, Instagram is a great prospecting tool. It’s free to set up a personal and business profile on Instagram. You can also get more exposure on Instagram by advertising. The types of ads you can create include photo, video and stories. Advertising allows you to target according to your prospect or ideal customer criteria and is affordable as can be customized to your budget. 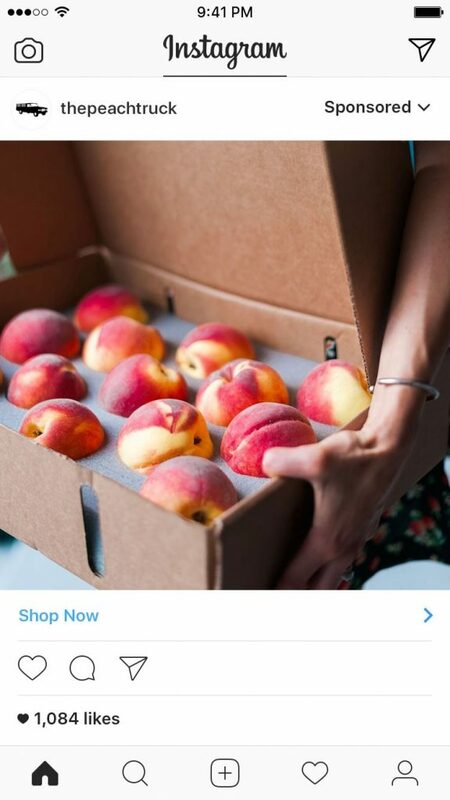 You can learn more in our ultimate guide to Instagram advertising. Meetup is a social platform that facilitates meetings and events that primarily take place in person, although there are some virtual meetings too. Meetup is great B2B or B2C prospecting because you can join any number of Meetup groups based on your target audience interests or schedule your own meeting and have your prospects come to you. For example, there is a popular Meetup Group in Chicago that does neighborhood walking tours. It’s run by Realtors who are able to showcase their knowledge of Chicago neighborhoods, which helps to promote their services while acting as a draw for potential prospects. Some Meetups allow you to promote your products and services actively, but many don’t. One thing you could do is sponsor a Meetup group where you pay to have the group owner make introductions. You could also start your own Meetup group where you provide something of value that prompts members to engage with you further. Sponsorship pricing varies. Meetup organizer pricing ranges from $9.99 per month to $14.99 per month. 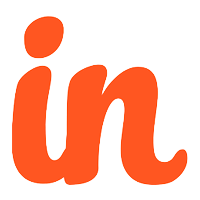 Insightly is a CRM with integrated prospecting tools. 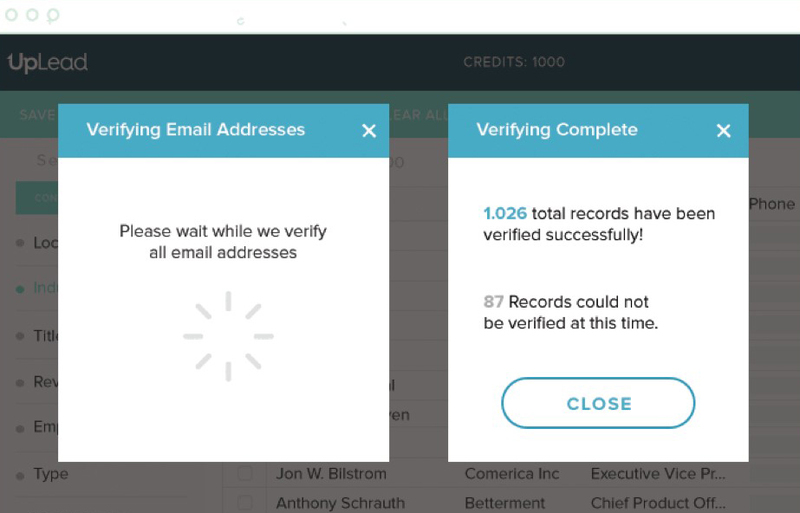 It includes a built-in Business Card Scanner, web-to-lead forms and email templates. The business card scanner makes prospecting easier by eliminating manual entry of prospect contact details. The web-to-lead form can facilitate on the spot entry of contact details when a prospect doesn’t have a business card. Email templates make it easier to send professionally written follow-up emails quickly. 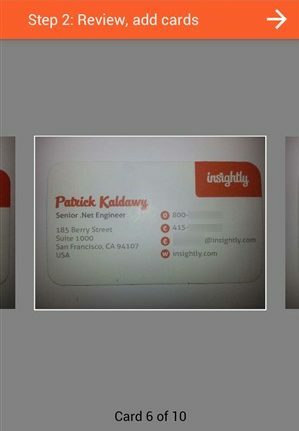 Insightly is best for salespeople who collect business cards and use web-to-lead capture forms when prospecting. They attend trade shows and meetings and want to get prospect details into their CRM as quickly as possible to begin the sales process. Prices are affordable, starting at $29 per month, per user. Zoho is a CRM tool that allows salespeople and businesses to capture leads directly from social media. 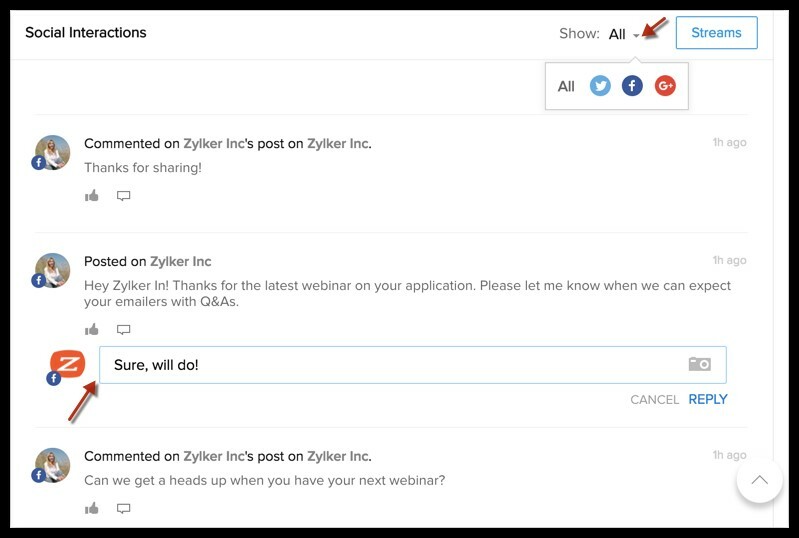 It also allows you to interact with prospects on Facebook, Twitter and Google+ all from within the CRM. You can also manage conversations and follow posts of prospects. It also allows you to monitor or listen to conversations prospects or even competitors are having about your company. 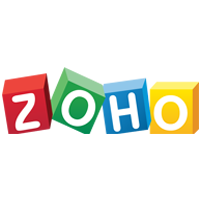 Zoho is best for salespeople who prospect using social media and want their outreach activities integrated within their CRM. It’s also great for more traditional methods of prospecting including email outreach because it offers like email templates, mass email distribution and autoresponders. Pricing starts at $12 per month, per user. Prospecting tools help salespeople increase the number of prospects going into their sales funnels. The best are easy to use, help to identify and capture relevant prospect details or offer time savings. As there are many strategies used for prospecting, we considered a wide variety of tools to help salespeople identify and organize prospect lists, provide intel and buying signals and facilitate communication to move them along the sales process further. The more high-quality prospects salespeople get in front of, the more chances they have at closing deals. The right prospecting tools can help salespeople make the connections with their target audience and start building relationships with them more quickly. In a competitive sales environment, salespeople need prospecting tools that will help them build relationships quickly, eliminate or minimize tedious tasks like data entry and scale their relationship building efforts. These tools need to be easy to use and affordable. The prospecting tools listed here will save you time, money and help turn prospects into qualified leads quickly.